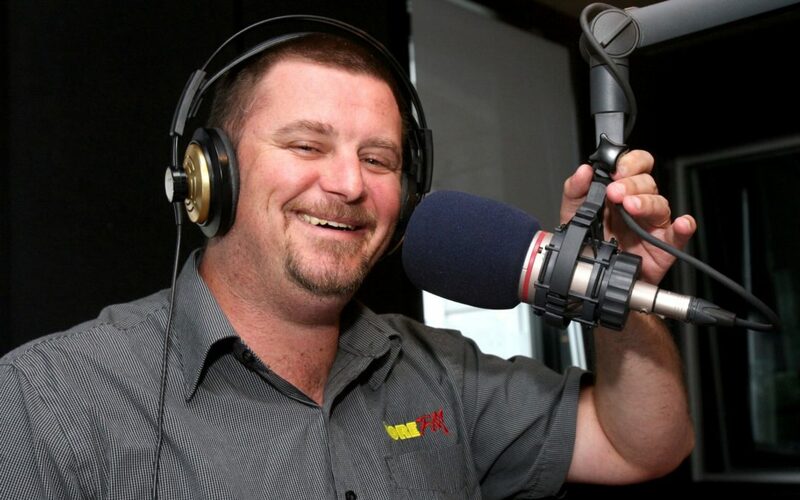 Wairarapa radio breakfast show host Brent Gare has been nominated for the country’s “hottest radio hunk” contest. The 39-year-old More FM presenter is one of 10 radio stars across New Zealand up for the award, run by Woman’s Day magazine. But while Gare says his chances of winning the title are “slim to none”, those who voted for him would disagree. The finalists were nominated by the public, with those backing Gare saying he was “an all-round Kiwi bloke”, a natural entertainer, and “one of the good guys”. Gare’s role as a rugby coach and referee was also mentioned, as was the time he spent with his family and friends. Having hosted the Wairarapa breakfast show for 14 years, Gare has a strong following in the community. However, he said even if everyone in Wairarapa voted for him, he’d only get 41,000 votes, which might not be enough to beat other contenders whose broadcast voices had a far wider reach. “Some of the guys are on nationwide radio. Gare is up against George FM’s Tammy Davis, an actor, More FM’s Gary McCormick, ZM’s Vaughan Smith, and The Breeze’s Steve Joll. Gare said he had no part in entering his name in the competition – it was done by a colleague as “a joke”. He found out he was a finalist on Sunday. “It’s probably more embarrassing than anything else,” he said. Mediaworks promotions co-ordinator Saphron Yaxley said she entered Gare because he did so much for the community. Yaxley encouraged people to “get behind their radio host and get him on the cover” of the magazine. The winner will have their face on the cover of Woman’s Day, with a feature article inside. Roger Farrelly from The Rock’s ‘The Morning Rumble’ show took the 2017 title. They can vote once a day until entries close on September 9, with winners announced September 17.